CHICAGO (WLS) -- Ground was broken Tuesday on a $32-million project called The Hatchery. It's being built at the corner of Lake Street and Kedzie Avenue in Chicago's East Garfield Park neighborhood. 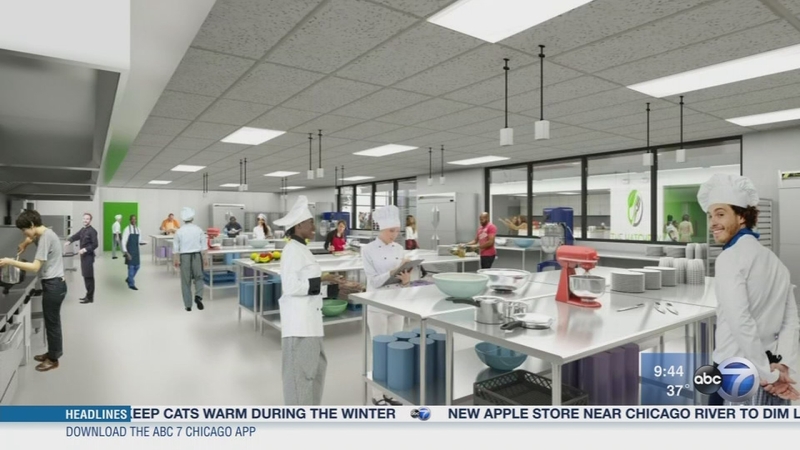 The food business incubator will help entrepreneurs get their businesses off the ground while also training people for jobs in the culinary industry. Talking about how this will work and how it will impact the community are Angela Taylor, wellness coordinator with the Garfield Park Community Council, Steve Debretto, executive director of the Industrial Council of Nearwest Chicago and Brad McConnell, CEO of Accion Chicago. Ground was broken Tuesday on a $32-million project called The Hatchery.